Critics argue that by using fiscal policy to splash out cash and provide generous benefits to the masses, the government is engaged in a deliberate effort to garner popularity ahead of the general election scheduled to take place early next year. Pork-barrel policymaking and populism have been recurring modes of operation adopted by Thai politicians, in this case military strongmen, to rev up support from the general populace. Praised by many at the bottom of the social hierarchy and loathed by numerous opponents, the legacy of Thailand's populist policies centres on Thaksin Shinawatra, whose government introduced schemes like B30 universal healthcare and Village Funds to provide relief to the rural poor. “These policies only have a short-term stimulus effect and contribute diminutively to GDP growth,” said Somjai Phagaphasvivat, an academic at Thammasat University. The rolled-out populist policies also fail to address structural problems surrounding the country’s competitiveness, social inequality and bridging the development gap between urban and rural areas, Mr Somjai said. 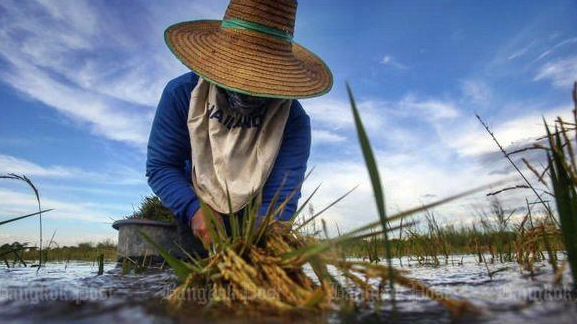 It’s always been a love-hate relationship with populist policies in Thailand, with supporters voicing strong support for these stimulus and subsidy measures and critics opposing them on grounds of fiscal discipline. Still, the junta-led government continues to gravitate towards populist policies when it comes to gaining support from the public. There have been many populist policies rolled out since the incumbent regime seized power in 2014, but the most recent ones are concentrated on providing welfare benefits for low-income earners and shopping tax breaks for consumers. Taxpayers can claim a maximum B15,000 income tax deduction on purchases of tyres, books, e-books and One Tambon One Product (Otop) goods. This scheme runs from Dec 15 to Jan 16. In addition, with a B20,000 maximum and 5% value-added tax (VAT) refund, shoppers will be eligible for a B1,000 return, according to Finance Minister Apisak Tantivorawong. Only spending on debit cards with savings accounts linked to PromptPay will qualify for the VAT refund. The VAT refund window coincides with Chinese New Year, which falls on Feb 5 next year. 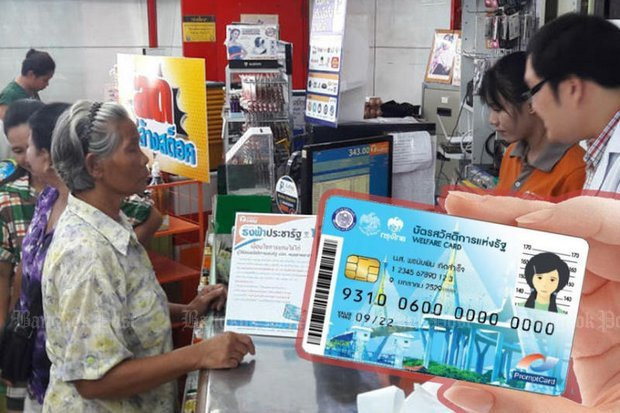 For low-income earners, one of the notable policies is a scheme enabling each welfare smartcard holder to withdraw B100-200 in cash to spend on items other than the basic necessities at Blue Flag outlets, along with bus and train tickets. Populism by definition is neither good nor bad, but many people have a pessimistic view of populist policies because they affect a government’s fiscal discipline, induce long-term dependency and create unsustainable development, Mr Somjai said, citing Venezuela’s ongoing crisis as an example. The schemes could also backfire, he said, as the groups that the government intends to support may eventually become opponents of the policies because of repetitive use and minuscule benefits. Household debt has reached its highest level since 2009, surging 5.8% in 2018 to B316,623 per household, a phenomenon driven by underground debt, which makes up more than a third of total household debt, said the University of the Thai Chamber of Commerce (UTCC). Some 64.7% of the debt is formal debt and 35.3% is underground debt, according to a UTCC study. Although there is an actual effect of stimulating the economy, populist policies produce only minimal, short-term gains, with most benefits accruing to major retailers instead of small businesses, said former Finance Minister Thirachai Phuvanatnaranubala. “Money spent on these schemes has no benefit, and these policies can damage macroeconomic stability,” Mr Thirachai said. Many observers have said the introduced policies are motivated by politics as the tentative Feb 24 election date fast approaches. They also voiced concerns that the programme is likely to allow the pro-regime Palang Pracharath Party to capitalise on the popularity of the policies and gain an unfair advantage over rival parties at the polls. Mr Apisak, however, insisted that the 5% VAT refund is not intended to woo voters for the pro-regime political camp, saying the tax rebate programme was conceived before the “Shop Chuay Chat” tax break programme was introduced in 2015. Nipon Poapongsakorn, a distinguished fellow at the Thailand Development Research Institute (TDRI), said the 5% VAT refund granted to shoppers spending up to B20,000 from Feb 1 to 15 next year would “make the situation worse”. He said the Finance Ministry shouldn't roll out exorbitant measures except in times of crisis when genuine stimulus is needed. He urged the ministry to explain how it would offset VAT losses. “The return [of VAT] to debit card holders without knowing the levels of their income would mean that middle- and high-income earners would also be entitled,” said Somchai Jitsuchon, research director for inclusive development at the TDRI. Despite numerous opponents and sceptics, there are supporters in agreement with the government’s recent policies, with some of the largest shopping mall and retail operators in the country identified as policy advocates. Voralak Tulaphorn, chief marketing officer of The Mall Group, said she would be satisfied with the new economic stimulus measure during Chinese New Year, which runs from Feb 1 to 15. Although consumer spending power during the Chinese New Year festivities is already high, the new measures will help enhance positive sentiment and encourage consumers to spend more than usual, she said. Since The Mall Group has issued co-branded debit cards with Siam Commercial Bank, the company will consider increasing benefits to customers who hold these co-branded debit cards in a bid to boost spending. Salinla Seehaphan, Corporate Affairs Director at Tesco Lotus, said the hypermarket chain welcomes the campaign as a shopping stimulus during Chinese New Year. “We are ready to support the campaign, and our payment system is equipped to accommodate the 5% VAT rebate,” Ms Salinla said. Piyawan Piyapong, senior vice-president for new service development and online at Big C Supercenter of BJC Group, agreed that the scheme would help boost consumer spending and provide an incentive for customers to use electronic payment for goods purchases. Retail shops will also gain from the reduced burden of daily cash management, Ms Piyawan said. Thanawat Phonvichai, director of the Center for Economic and Business Forecasting at the University of the Thai Chamber of Commerce, said December's consumer confidence is likely to improve after the government issued a year-end economic stimulus package including the tax deduction on purchases of tyres, books and Otop goods. 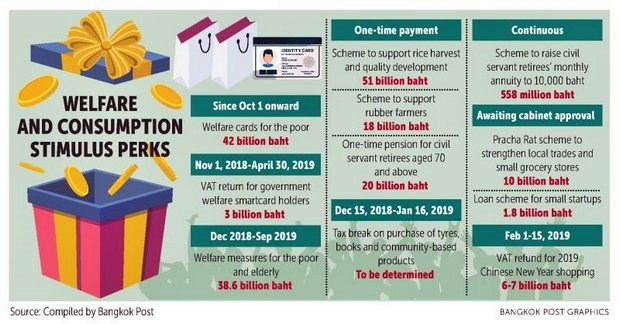 Mr Thanawat said the value of consumer spending from the scheme is projected at B10 billion, while top-up via the government's welfare smartcards for the poor should boost total consumer spending to B12-13 billion. This would add 0.2-0.3% to Thailand's GDP growth, bringing this year's figure to 4.2%, he said.